“The way you train is the way you fight and the way you fight is because of the way you train”…this is a common military pearl that applies to nearly every aspect of warrior arts. As modern day soldiers, we learn to adapt and modify our tactics, training, and procedures to address the various combat and situational environments in which we find ourselves operational. Warrior skills as outlined by Sun Tzu in the Art of War are as applicable today as they were centuries ago in ancient China. From personal experience the military (martial) training done for deployments to Bosnia and Kosovo was both technically and philosophically different than the pre-mobilization training my unit did prior to rotations in Iraq and Afghanistan…even Hurricane Katrina in 2005. That is because the situational environment often dictates the defensive/offensive focus. When Katrina hit, my unit had just returned from wartime operations in Iraq. We approached that mission as we had trained…with a tilt towards a wartime event, which of course, Katrina was not. The way we train for martial arts should also be modified and adjusted based on our intent, goals, and situational needs. A pharmacist would likely benefit from close range drill and disarming skills. A policeman would benefit from skills at all ranges. Many martial artists don’t really stop to think about the “why or what” of their personal exposure to dangers. Are they planning to compete in tournaments, do full contact karate, develop self-defense skills, or just get in shape? As one grows in knowledge, some will also discover the much deeper aspects of martial lessons and traditional training. Generally, the lessons learned through traditional training are of the most value in our development of applicable martial art. 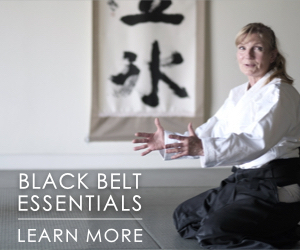 Traditional martial skills that developed from wartime conflict and combat situations often have great applicability. 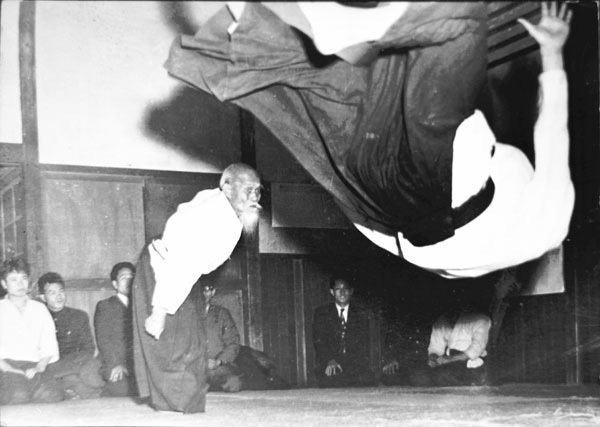 Martial artists occasionally dismiss traditional aspects of the warrior arts as outdated or esoteric. My intent is to discuss how these traditional methods can be beneficial for martial artists, particularly those who live in the profession of war – the modern soldier. That the environment dictates the training is not a new concept. It has been given attention in the past primarily in the world of the professional soldier and lessons learned by the military. 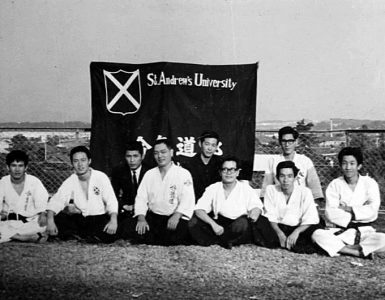 There is not much in the literature of martial arts that relates to or discusses the relationship between new and old martial skills. If the first choice of weaponry is a kick or punch, the applications change for each. Where you are and what you are doing affect the tactical application. In an eight foot by eight foot room, marksmanship skills are not as valuable as defensive tactics and controls. Counters, quick reactions and situational awareness are by far more important. A knife would be a better choice in a small room. If you have no knife skill sets or counters, the time to learn them is not when you go into the room. The environment dictates the focus of training. Martial arts are divided into endless categories: traditional arts, mixed arts, ultimate fighting concepts. There are ongoing heated discussions on the ranges of fighting, ground fighting versus stand up fighting, tough man contests, full contact kick boxing, and many other martial approaches and philosophies. But how often have you actually thought about how, why, when, and where you would use your skills? Which one is best or most appropriate? When do you escalate force and when do you disengage and reduce force to control the situation. When attacked, your training should kick into automatic mode without thought (Mushin). This is much harder to do than to write about. Traditional training and meditation help overcome the myriad physiological responses in order to control emotion and the situation. But it takes time, practice and effort to achieve mind-body unity. I do not have a specific answer. You have to figure out what works. Traditional arts and their spiritual aspects in training can help lead the way! Meditation and mental rehearsal training offer highly individualized options to unlimited situations. Take some time and think of the areas you could possibly go into. Have you seen violence occur there? Rehearse the scenarios and go through physical and mental rehearsal. Do not just think about it. Do it as well. Do what an ancient samurai might call a battlefield walk. As a modern martial artist, practice “OCOKA”, a military acronym for looking at critical points in operational areas and standing for observation, cover, concealment, obstacles, key terrain features, and avenues of approach. It can help you determine how to best manage the situation to your advantage or even avoid a well thought out attack. Perhaps you previously rehearsed what to do if you are on an airline with an attacker wielding a box cutter. What could you improvise? The seat floatation device as a shield, shoe or belt buckles as a striking implements. Some basic martial skills and forethought might have been all that was needed to overt this well known recent disaster. What a different world we might have today! 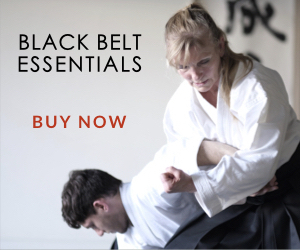 Blending of course always makes complete sense and traditional martial arts have done this for centuries. Tai Chi Chuan can be loosely interpreted as “The Ultimate” or “great energy fist. The ultimate fighting concept is not really very new and in fact mixing and blending of martial skills is actually a rather traditional approach. Look at the history. Stylization occurs but modification and adaptation are ever present in all warrior arts. We must keep adding skills, training, rehearsing and trying to understand application before we write anything off as “useless”. The most fleeting training secrets are secrets regarding advances in warfare, strategy, and tactics. Melding various martial arts has been done before and perhaps what was felt to be useless was only because its use was not clear. Knowledge lost is seldom recovered and we risk repeating the same skill threatening errors. Reinventing the wheel is never the best way to spend your time. Study something’s application and why it was applied that way. Often we tend to take what we “feel” is useful and throw the rest away. Before you get out the scissors and start cutting, first spend an appropriate amount of time to understand something’s martial application. To do this you must train in its use and develop your skills in each range of fighting. Many times, when we do this the concept’s value comes into much clearer focus. Then you can determine if it is applicable to your situation. Do not throw it out. Save it for when it is applicable. This is where good instruction and study pay off. Not training long enough to understand something’s application before it is dismissed as dogma is just bad training. Preservation in depth of traditional skills and not losing them is the way to go. Someone somewhere bled or died for some of the things we learn in our training. The mental aspects of traditional martial teachings often are the first to be labeled as useless. Like art class or music during budgetary constraints, such studies are often deemed less valuable. They are not taught or are given a back seat to the more “important” skills of science or mathematics. But music can be a mathematical progression and every bit as valuable. Imagine what your life would be like without artists. Training in martial “art” is similar and without some of the artistic components, we lose the art and we are left with martial. As a soldier I have seen “martial” many times. It is “art” that is healing. It is “ART” that keeps you balanced, focused and capable. Without the art we are simply warriors, something less than a professional soldier. This is where the concept of “Do” comes from. This is means “way” of growth and development as human beings, not just warriors. Peace comes from strength. “Do” arts and their training intent were developed with this in mind because of the experience war and battle. A strong and peaceful society that can defend itself can change lives because it operates from strength. Our training can take us down that path. If your goal in training is to be lethal, you can stop training today. You are lethal. Just drink and drive or purchase a weapon. As an old soldier with my chosen weapon, even in my mid fifties, I can be as lethal as the best unarmed UFC Champion. When I am given an automatic weapon with a full magazine and one in the pipe, safety off, I suspect even this old soldier would do pretty well. What I am getting at is that some of the more traditional concepts of misogi, meditation and other mental aspects are gifts of enlightenment in our training. The older more traditional applications of many arts came directly from warfare and real combat. They offer real solace to soldiers and anyone else who has experienced trauma up close and personal. The mental applications are often being lost when martial art is reduced to a contest, or sport, or trimmed in content to “sell” and attract more students, rather than a serious lifelong pursuit of self-perfection and personal development. I understand lifelong training is the exception but quality training should always be the goal. The main point is that both traditional and non-traditional martial arts have tremendous value, in the right situation, context, and environment and when the time is taken to understand the purpose of them. As instructors, it is our “duty” to assure we at least offer some insight in our training regimens to our students in order to preserve the “way” concepts and help future martial artists in becoming true peaceful warriors. Our technology is far advanced beyond any unarmed combative skill set or system. Some students may think it useless to bother with martial training. Unless we teach the deeper aspects of martial philosophy and training we will continue to lose students. To those of us who are martial “artists” first, the answers are obvious and numerous: fitness, focus, fun, camaraderie and discipline to name just a few of the benefits of traditional training. Concepts of kata training, repetition, meditation, misogi and breathing were not just meant for warriors for their self-healing. They are a way for all who train to find a deeper peace, a sense of balance and calm before, during, and after the storm. Colonel Nick Rowe was a prisoner of war in Vietnam and helped to develop the initial Army survival, evasion, resistance, and escape “S.E.R.E.” course. He would often refer to the value of mind body drills and their limitless application in training, or in true life changing situations. Traditional warrior arts at close range with a blade were bloody, messy, traumatic experiences “up close and very personal!” The intensity of such exposures had to be dealt with. Ingrained into every aspect of traditional martial art systems is a way for practitioners and warriors alike to deal with such encounters. These training regimens were not born in a ring, cage, gym, or tournament floor, but rather out of necessity from experiences on a remote hillside or bloody battlefield. The personal cost of confrontation against a trained enemy, who is equally bent on killing you can be lethal. 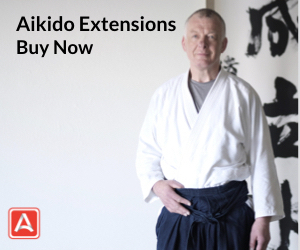 There is little wonder why the traditional “bushi and budo” based arts nearly all emphasize various forms of mental preparation, breathing drill, relaxation and internal development in their approach to training. I would like to add a final word before getting into some specifics on physical training structure. This is one last bit of input on mental aspects from a personal note garnered from experiences over the last three decades that dealt directly with warfare and trauma, wounds and injuries (my military role is as a senior flight surgeon). Exposures like those listed above have emphasized the true value of traditional martial arts training to me. With traditional arts there is a focus on nearly every aspect of the human spirit and psyche. The great news is that these have already been addressed and not yet lost to time. The mind, body, soul and personal well being are not ignored in traditional arts. Mental preparation has an emphasis and was not lost by our martial founders. They understood these benefits and their cleansing appeal. You do not have to experience warfare to appreciate the deeper levels of traditional martial arts training but for me personally, it was a pathway to a much deeper appreciation of such training. How refreshing to read somebody who can place traditional training in the context of actual combat without the usual self aggrandizing BS of style or technique. Actual combat experience, especially prolonged experience is uniquely that of the professional warrior, and it was for such people that most traditional MA were created. The sad fact is, for most of us, we are hobbyists in an arena of ego transactions, and we have the time and luxury to debate opinions without having had continuous long term exposure to all aspects of combat, the psychological and the spiritual, as well as the more mundane but right in your face physical aspects. After accumulating 30 years in the MA world I can count on one hand the number of occasions I have been in altercations of varying degrees of seriousness, but none were with lethal intent fortunately, since I “lost” several times, but still woke up. So 30 years for what exactly? Well, clearly for me now, the rigors of training (how rigorous actually?) have benefited me more in the inner realms than in the outer, and whilst I am glad that I know how to defend myself physically I am far more thankful for the awareness and perception that would prevent me having to “get physical” which would probably mean that other aspects of my training have already failed. the formula of OCOKA, whilst not exactly the same as my own patterning, comes done to the same things. Civilians do not live in a constant war zone but they occasionally stumble into one without realizing it. Unlike a known combat zone where the rules of engagement are mostly very clear, in the civilian combat zone escalation can occur very rapidly, especially when one combatant has declared unlimited war on another who does not even know that war has begun until it is almost over. In this context I am not in the least interested in discussions about effectiveness in the comparisons of sport forms of martial arts and traditional training. Even the most modern, fastest machine gun in the world is useless to you in your sleep, so remaining awake, perceptually, tactically, strategically, is the prerequisite in the deployment of skills, or, by extension, weapons. Thank you for writing this, with respect. 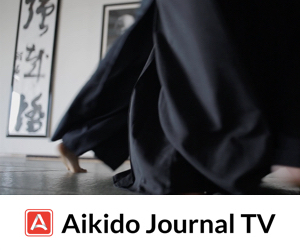 Thank you for a fresh, cogent and realistic assessment of how Ueshiba Aiki may be more appropriately appreciated in our environment today. Looking forward to any additional thoughts and viewpoints. 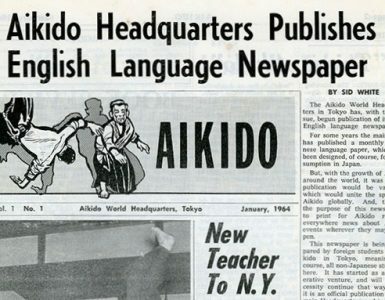 I agree that aikido training is not an accurate portrayal of combat, but that is not because it can’t be taken to a higher level of deadly intent, but because we must always be mindful and protective NOT to take it to a harmful level of body or mind. A soldier does a soldier’s part, just as a policeman has a policeman’s part, and a citizen has a citizen’s part. To insert yourself into a situation where you become a hazard or detriment is an essential part of your mental awareness and part of your training also. My point is .. you may be the best practitioner in the room at any given moment in time, but are you aware of the mindset and part you play in that situation for that moment in time? No matter how you discuss the physical prowess of a the person you are, you were, or can be for the art you practice … the most deadly of weapons is the awareness of the human mind and how that mind allows the control of human body and perceives what is possible for you to do and that is why I really like what is said in this blog. Can you control you emotions? Can you control you mind? Can you properly assess what you are capable of doing and what you should do for the situation at hand, let alone what your training gives you or does NOT give you? When you truly realize both the positive and the negative of what your training does and does NOT give you, you then have the proper mindset to not only train but to use it and adapt it to what you need for each particular situation. I am very grateful to Lt. Col. Harden for his effort to write this, and to Stan Pranin Sensei for finding and publishing it. I’ve saved OCCOKA. In my area it has been central to what martial success I may have enjoyed. It’s neglect has been central to such failure as I may have suffered. Have been fortunate that I haven’t had to get up-close-and-personal with edged weapons. I’ve always hoped that training would help get through such a situation and appreciate Lt.Col. Harden’s suggestion that “do” would help to pull through the aftermath. My favorite flight instructor is Lou Fields, Annapolis ’44. Boxer in his youth. Fought in surface warfare (DD765?) at Okinawa. Later he commanded a fighter squadron. He’s beautiful, not just as a master pilot. He cherishes living things. His place is a refuge for good things that need a chance to live, from an orphaned potted plant to an abandoned pit bull. He keeps a shotgun handy for things that don’t deserve to live. He follows UFC and figures if push comes to shove he might still have a good hit left. Just because duty hasn’t called you yet, doesn’t mean it won’t. My take on lifetime training is to be able to do my best if/when it does. Agreed. Ask yourself a hard question, what do you want to become ? A good fighting machine (Robot)? If so , focus only on the “Martial ” aspect only. A good fighting human being? If so, focus not only on the “Martial” aspect, but equally important, focus on the “Arts” aspect. Do you want to be a good fighting machine (mean, ruthless and without a heart or compassion), or do you want to be a good warrior with equally good fighting capability and as well as a human compassionate heart , empathy and the ability to exercise self-control and the ability to differentiate good ,bad and evil. First off, Alec Corper’s comment about (what I can only assume is a general reference to) most practicing “martial artists” (i.e., “…we are hobbyists in an arena of ego transactions”) is a brilliant and razor-like observation. Unfortunately, I think it’s largely representative of the current state that most of us (yes, a bit of self-introspective honesty may be most appropriate here) as practitioners of the various styles of the martial arts exist in today. I’ll tuck that one into the quote book to remind me from time-to-time to stay grounded. Fact is, he’s right. About a year or so ago, I decided that I wanted to renew a subscription to a certain popular martial arts magazine that I frankly hadn’t picked up and read in probably 20 years. I was shocked by what I found. Commercialism, BS-hype, egotistical nonsense–comparative urinary olympics. We have so watered down the essence of the martial arts in the United States (at least) that it doesn’t seem to bear any semblance to what most of us who started 30 or 40 years got into it in for in the first place. Our “dojo’s” are diploma mills more concerned with profit margins than passing on art based on philosophy. Our “literature” is filled with garbage. Most of our young students have no idea of the foundational elements of the martial arts–and no one seems to find anything wrong with that. We have aided and abetted our own slide down the slippery slope, making violence and submission penultimate goals of our training instead of seeking to understand the much deeper meaning of our martial art’s training and what it is meant to accomplish. So, along comes an article like Colonel Harden’s, and it’s frankly not surprising to see such a positive reaction. It’s because we need to be reminded from time-to-time in a cogent and logical way what this is really all about! The mere fact that a real warrior who has experienced the horrors of combat up close and personal can relate how his martial art’s training has prepared him better for the battlefield only serves to reinforce this message. What the Colonel is teaching us is that it’s about control–of self, of environment, of danger (when necessary). This is where we can find growth in the “Do” (“The Way”). Bravo to Harden Sensei for this remarkable piece. I hope the editors at AJ keep them coming from him. In this age of glorified violence and irresponsible hype, your words and perspective are greatly appreciated.